Are you looking for the best splitting maul to help you with your cutting needs? Did you know that there are a lot splitting mauls in the market? This is the reason why knowing the best splitting maul in the market will help you decide on which one to get. Splitting maul or also known as the block splitter is a long handled and heavy axe, which is used to help the pieces of wood to be cut. One of the sides of the head's maul is like a sledgehammer, while the other side looks like an axe. It would be best to have a splitting maul for every home at least since this is one of an essential things that you need to have. The reason behind this is because it will make your work easier when it comes to dealing with your woods. The first thing that you need to do is to check the head of the splitting maul that you are going to purchase. You need to make sure that the edges are sharp and thin enough to let it bite into the wood that you are going to split or cut. But you should also make sure that it is thick sufficiently to avoid breaking and chipping after a few use. Another thing that you need to check is the steel’s quality. The next thing that you need to do is to choose the size that you need. If you are a big person, then using a heavy splitting maul won’t be a problem. If you can’t handle larger maul, then you can choose the smaller version. Of course the bigger the maul, the easier it is to cut bigger woods. Another thing that you need to consider is the quality of the splitting maul that you are eyeing. You need to choose a steel made blade for you to be able to cut the woods easily. Choosing a low-quality one can only cause problems and even injuries. 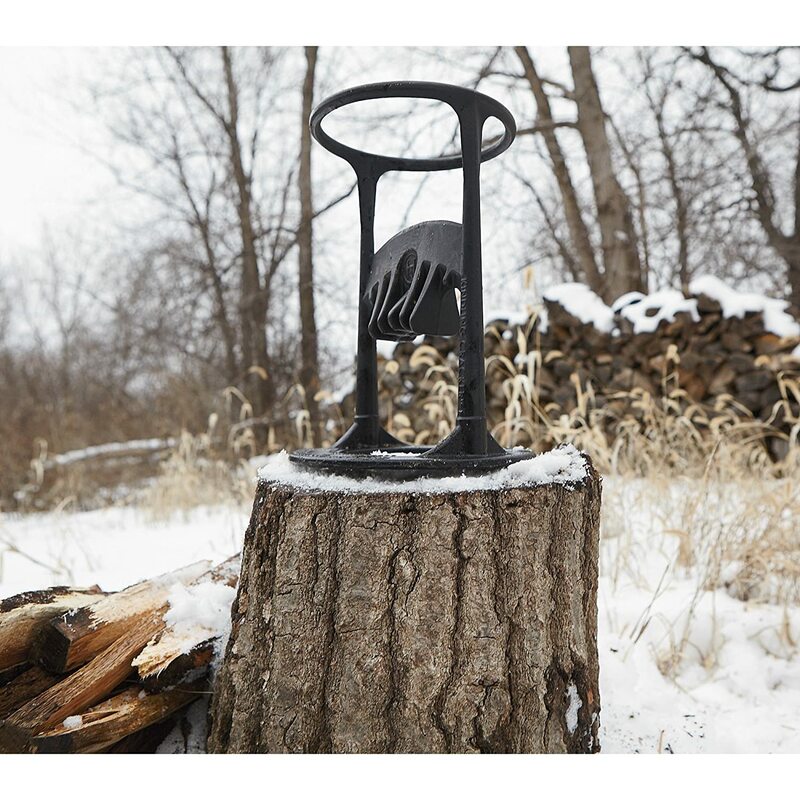 The handle of the splitting maul should also be comfortable to hold, for you to comfortably work with your woods. These are the things that you need to consider before purchasing a splitting maul. But you may be wondering how you can efficiently and safely use the splitting maul. Worry no more because we will discuss everything below. The first thing that you need to do is to cut the woods that you have to your desired length. If you are going to use it to fireplaces that are small or a wood stove, then curling the woods in 16 to 20 inches in length would be best. The reason behind this is because it will be easier to split them. When cutting the woods, it would be ideal to cut the wood's ends flatly or squares since you need them to be able to stand once you start splitting them. A chopping block can be a tree's large trunk as you will be using this surface to place the logs and split them. This will help you to work on it easily and will also avoid straining your back. You can look for a chopping block that is at least 6 inches above the ground. Avoid using blocks that are too short or too high to ensure that there will be no ricocheting woods, which can cause injuries and accidents. Check for a place where you can work safely. An excellent location is somewhere with a good footing, and you also need to ensure that there are no limbs that are overhanging and no debris lying around. Of course, you need to make sure that you are wearing the appropriate attire before you start splitting your woods. Wear high-quality gloves to protect your hands and a safety glasses to ensure that there will be no debris that will fly in your eyes. Boots would also be ideal when splitting the wood to protect your feet. Before splitting the wood, it would be best to inspect the wood first to check for cracks and such. The reason behind this is because you need to make sure that the maul will run through the crack on the log itself. Place the log on your chopping block and ensure that it is stable enough to stand on its own. Aim the maul and carefully swing it to the top of the wood and split the wood. Avoid swinging your hand widely as this can be exhausting and dangerous at the same time. Now if the wood didn’t split successful, carefully pull the maul and start swinging again. If the maul is stuck deeply, then you can carefully rock the maul a little until you get to release it. Once you have released it, strike the wood again in the same place. Once you are done splitting all the woods that you need, stack them up for you to have them ready when you need them. You can stack them in your storage room just make sure that the air can freely circulate for them to remain useable. Now that you know everything about choosing a good splitting maul and how you can safely use it, then knowing the best splitting maul available in the market is ideal. In this way, you know which ones to check out in the market. Kindling Cracker Firewood Kindling Splitter will let you cook whatever you want without worrying about incurring any injuries at all with all the logs that you will be able to create. You don’t have to worry about sharpened objects or any moving blades because there will be none. Using the Kindling Cracker is made out of high-quality materials, which means that you can use it and even pass it to the next generation. 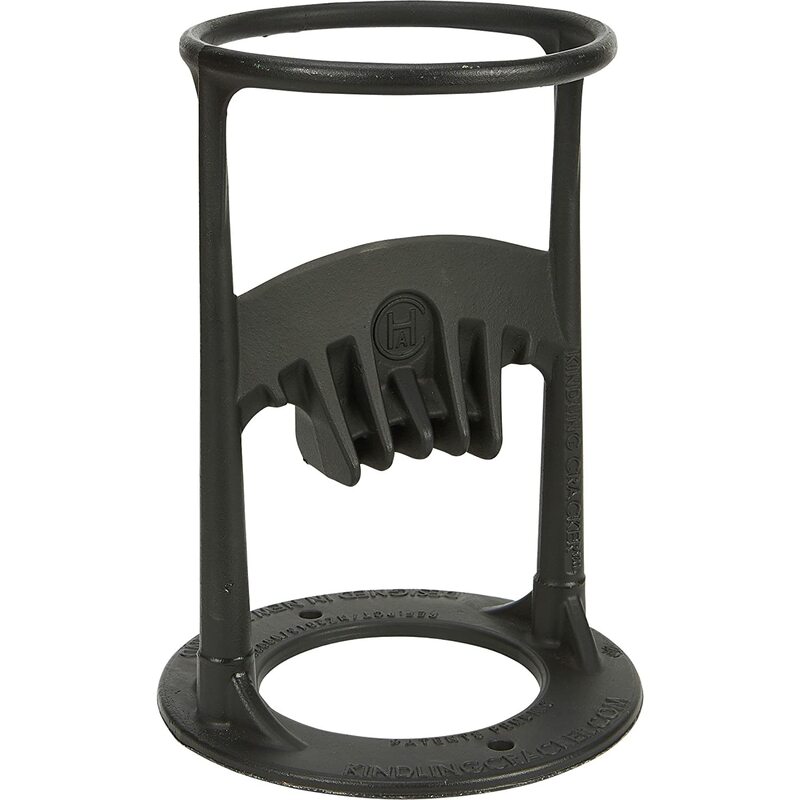 The Kindling Cracker Firewood Kindling Splitter is made in Australia and is consist of cast iron that is high in quality. Another good thing about this splitting maul is that it is not high maintenance since the only thing that you need to do is to brush the debris or dirt off the splitter. When using this maul, all you have to do is to place the wood inside the safety iron ring and strike it with an instrument that is blunt, such as a mallet or hammer. 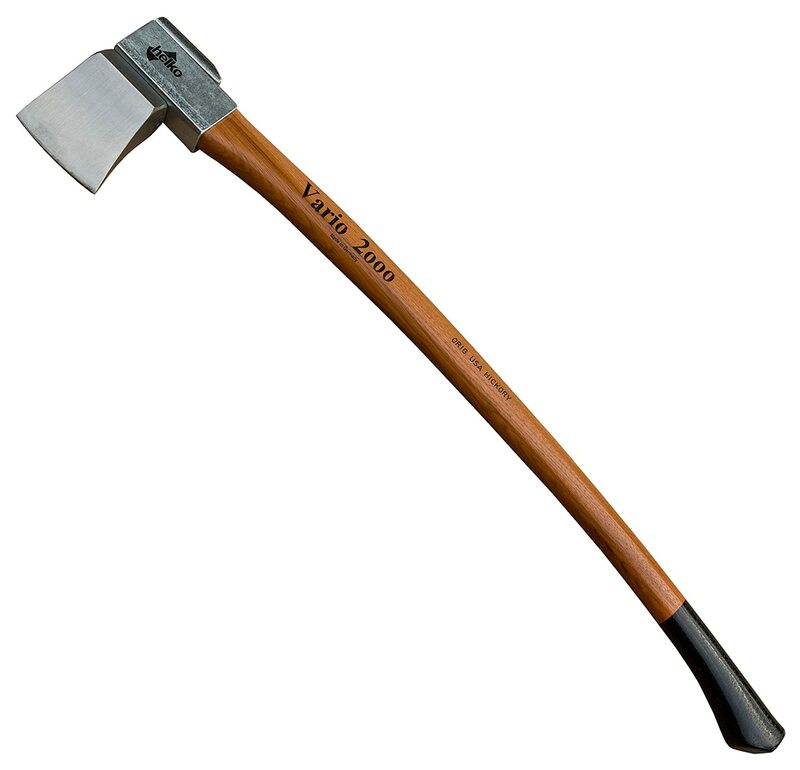 Estwing E3-FF4 Wood Splitting Axe/Maul measures 14.2 inches by 5.8 inches by 1.5 inches. It weighs 4 pounds. This splitting maul is not only powerful but is also light in weight, which makes it easy to carry around. You can perfectly use this maul with either of your hands or even both hands, depending on your preferences. The head of this maul is 1 and a half inches, while the edge measures 2 inches, which are both a convenient size when splitting the wood. It also helps in absorbing the impact, so you don’t have to worry about injuring your elbow. The Estwing E3-FF4 Wood Splitting Axe/Maul is equipped with a vinyl nylon grip, which is not only non-slip but as well as shock proof. Another good thing about this splitting maul is that it can give power and leverage for easy splitting of wood. The steel that this is made out of is the strongest, which is why it can surely provide you with the logs that you need for your everyday needs. Fiskar X27 Super Splitting Axe has a combination of the advanced geometry of blade and a perfectly distributed weight to ensure maximum performance. Since the weight is distributed perfectly, the ratio of power to weight increased the speed of the swing. This maul is designed to be effective, functional, and simple, which will help you to get things done in no time. It also can chop the wood 3 times deeper than an ordinary maul. The Fiskar X27 Super Splitting Axe is also equipped with a blade that has a sharp edge to ensure a better contact and cuts that are cleaner. The hardened steel blades can be sharped for a long period. Another good thing about this maul is that shock absorbing handle that it has, which is also light in weight, while the steel is stronger to ensure that the handle won’t break once you start splitting the woods. Truper 32451 12-Pound Splitting Maul with 27-Inch Steel Handle is equipped with a 27-inch handle, which will perfect for splitting wood and logs. It features a protection for overstrike and a striking bevel-edge face, so you don’t have to worry about anything. 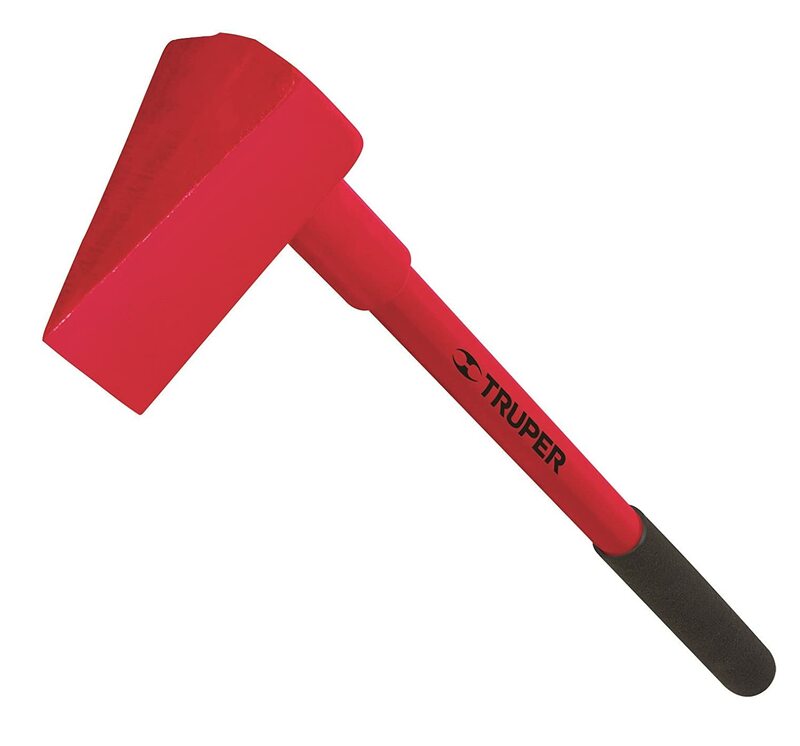 Another good thing about Truper 32451 12-Pound Splitting Mau﻿l with 27-Inch Steel Handle is that you don’t have to worry about breaking its handle because Truper will help you with it since they offer a lifetime limited warranty. 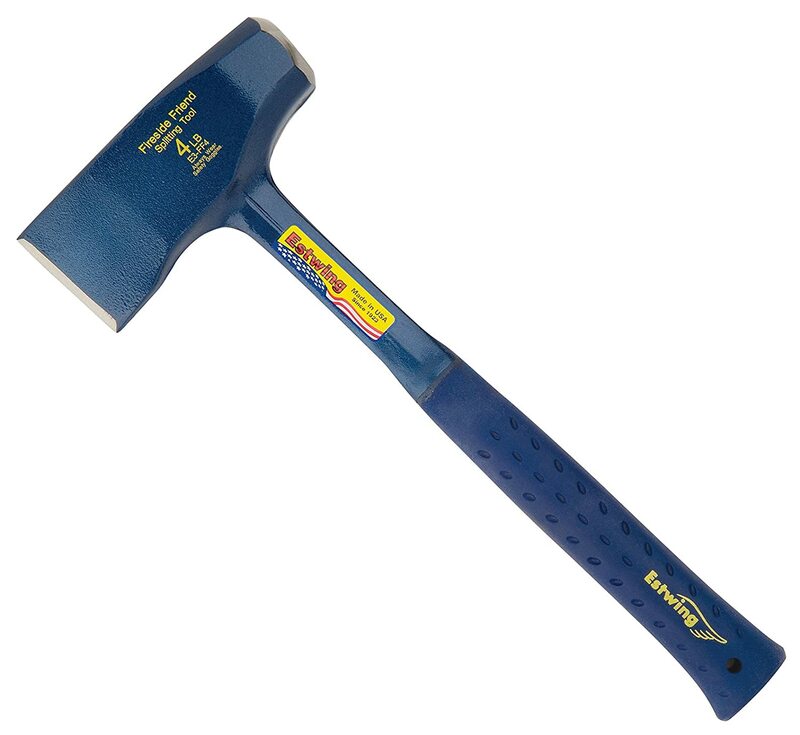 The Truper 32451 12-Pound Splitting Maul with 27-Inch Steel Handle is made out of durable materials to ensure that it will last for a long period. You can simply store this maul in an RV, cabin, shop, truck, and shed with ease. This maul relied on the most efficient and modern technology today to ensure an optimum value and quality. Helko Vario 2000 Heavy Log Splitter is one of the most powerful splitting maul in the market today. It is known as a heavy duty one, which will do jobs that are difficult easy. The combined weight and wedge can provide a strike that has a powerful force, which means that it is capable of splitting firewoods that are heavy, large logs, and tree trunks. Due to the weight and size that it has, you need to be able to have the strength to control this maul. The Helko Vario 2000 Heavy Log Splitter is equipped with a German carbon steel, which is oil hardened, heat treated, and drop forged. The steel has an overstrike protector, which will help you handle any harmful miss-swings. Another good thing about this splitting maul is that it has a built-in feature that will ensure that the head will remain intact if it gets loose. These are all of the information that you need when it comes to the best splitting maul available in the market today. For this review though, the winner is Kindling Cracker Firewood Kindling Splitter. The reason behind this is because of the stability and durability that it has, which will surely provide you with a smooth splitting task to every firewood that you have. Start choosing the best splitting maul that will help you with all your splitting tasks that you need. Previous Post Tips on How to Make Potash Next Post Boric Acid Vs. Borax: What is The Difference Between Them?